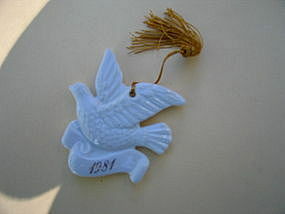 1981 Avon Dove Ornament with gold tassel. There is no damage. I need your zip code to calculate the postage.